England. It is a quaint country. Characterised by differing regions, each with their own uniqueness. People. Architecture. History. Landscape. Dialect. Sports teams. Beer. Etc. It’s this tapestry of personality which makes traveling through England a hugely enjoyable experience, with towns and cities sometimes only miles apart offering the visitor endless opportunities to experience this tapestry effect in action. Sheffield and Manchester. Portsmouth and Southampton. And I’m not just talking about football. 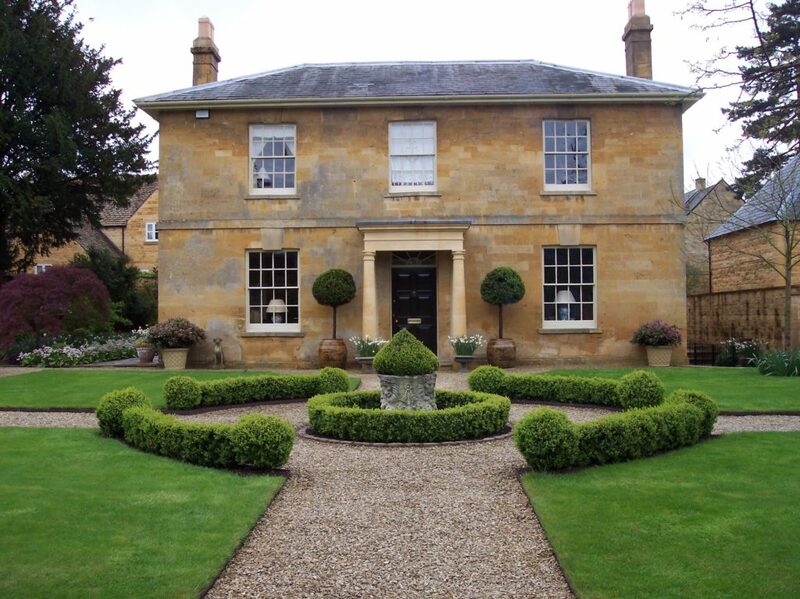 The Cotswolds are situated in an Area of Outstanding Natural Beauty in south central England and offer the visitor an unrivaled English countryside experience with it’s rolling hills, pretty villages, constant supply of cream teas and houses built with the distinctive oolitic limestone, also know as Cotswold Stone. Broadway is situated to the northern end of the Cotswolds and is a jewel to behold, and a hugely popular tourist attraction with both British and international visitors alike. 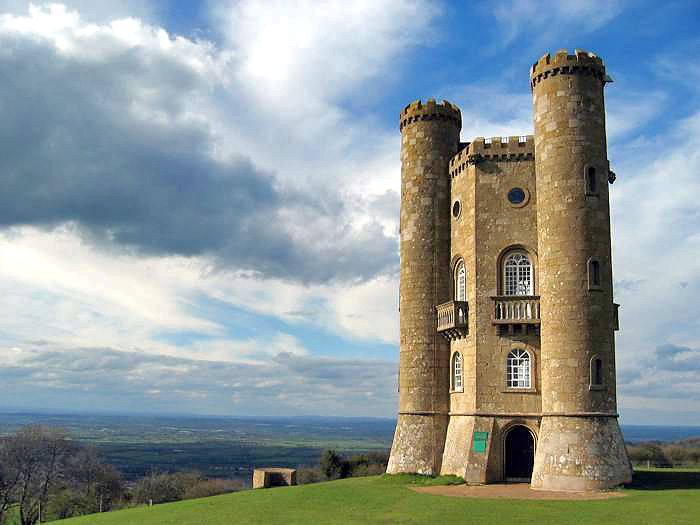 It’s overlooked by Lancelot ‘Capability’ Brown‘s and James Wyatt‘s impressive Broadway Tower which offers some of the most spectacular views over the surrounding area. 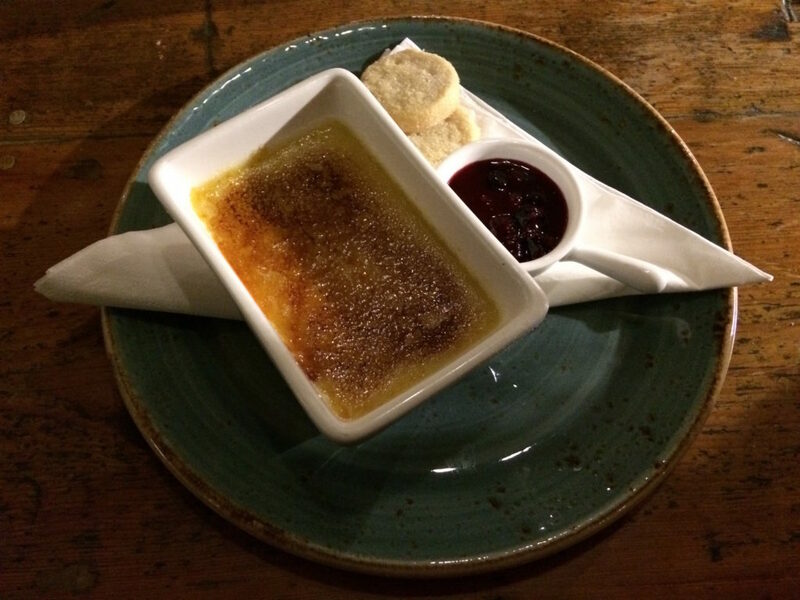 However most importantly, it’s home to the Broadway Hotel, the purveyor of the subject of this post, namely the Cinnamon crème brûlée with spiced berry compote…! 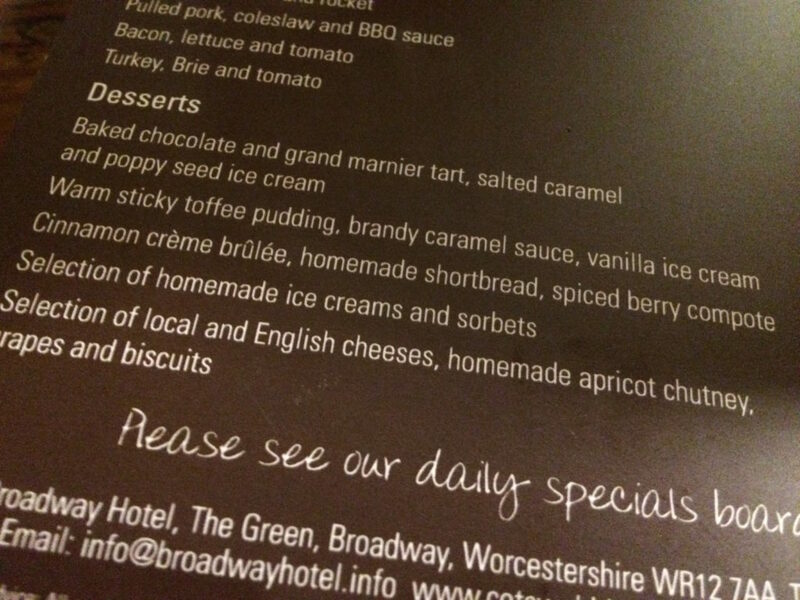 In fairness, the ‘come hither’ warm sticky toffee pudding (as chosen by one of my dining comrades) was almost the cause of my abandoning the firm and singular expectation of this blog namely, ‘If its on the menu, you have to order it…’. Normally, an air of mild panic sets in if a chef plays with the flavours in the base brûlée custard, but on this occasion their cinnamon infusion was subtle and almost Christmassy in execution (despite this being a February evening…!). Combined with the buttery shortbread and crisp, palette cleansing berry compote, this was in fact a fine and surprisingly enjoyable custardy culinary interlude! Maybe it was the dark evening, or the day spent outside exploring the local area in the brisk February weather, but my tastebuds were suitably aroused by what the spoon threw at them hence, the Broadway Hotel’s cinnamon special earns a respectable 7/10. Good job Broadway Hotel…!